Budros, Ruhlin & Roe, Inc, one of the nation’s leading independent wealth management firms with over $2.6 billion in assets under management and advisement, announces 10 wealth and investment management professionals have been named Five Star Wealth Managers by Five Star Professional. 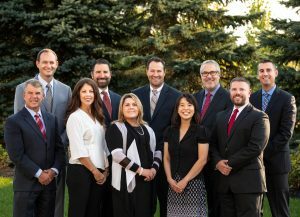 Aaron Armstrong, CFP®, CFA, Danny Due, CFP®, CAP®, Andrea Ellis, CFP®, Amy Kelly, CFP®, CDFA®, Scott Kidwell, CFP®, Michael Kline, CFP®, Jessica Lee, John McHugh, CPA, CFP®, CAP®, Dan Roe CFP®, and John Schuman, JD, CFP® were recognized with the 2018 distinction. To receive the Five Star Wealth Manager award, a wealth manager must satisfy 10 objective eligibility and evaluation criteria that are associated with wealth managers who provide quality services to their clients. Factors considered include assets under management and client retention rate. Candidates also undergo a thorough regulatory and compliance review. “We are thrilled to add two more professionals to our growing list of Five Star Wealth Managers. Out of over 1,000 Columbus-area wealth managers considered, only 67 were awarded the distinction, so our firm’s professionals comprise 15 percent of the list. This is a testament of our commitment to provide our clients with the highest level of financial planning and investment management services,” said Peggy Ruhlin, Chief Executive Officer of Budros, Ruhlin & Roe. Five Star Professional will publish a magazine announcing all Five Star Professionals in October. Please join us in congratulating our wealth and investment management professionals!